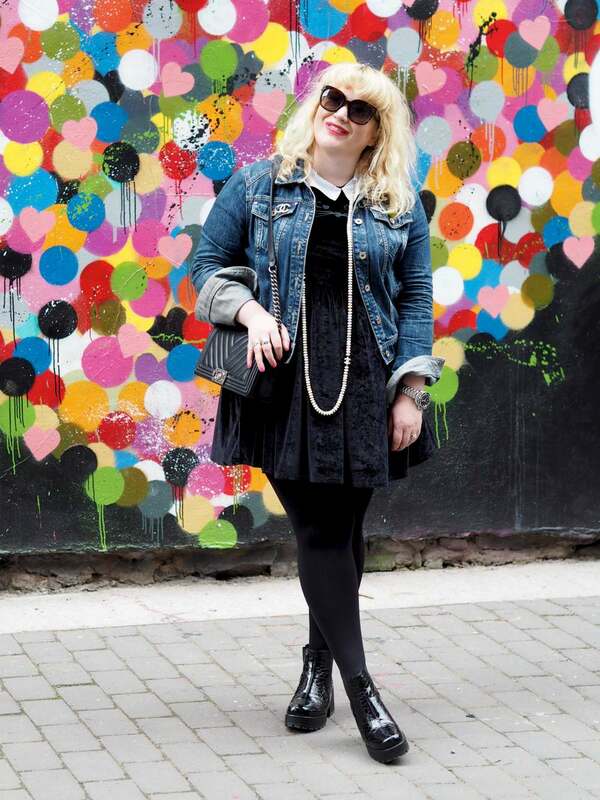 July Favourites - Fashion For Lunch. It’s been HEATWAVE month here in the UK and it’s taken me everything not to just list out things like Mcflurry’s, cold baths, iced coffee and industrial fridges. Instead, I’ve come up with a list of great podcasts, beauty products, fashion items and homewares… I hope you enjoy! And for the record, I’ve been loving anything cold this month! It’s been hard concentrating it’s been so hot! A Bottle Of Soap & Glory Made Just For Me! This month my friends at Soap & Glory surprised me with a bottle of Clean On Me with my face on!!! In fact, it has my name and my face on! Isn’t that the best gift ever?! 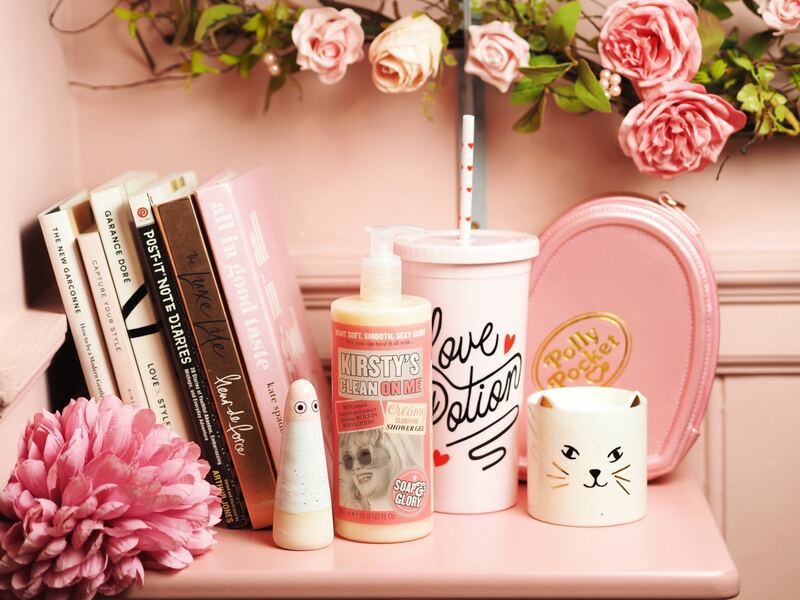 It’s a sticky situation though, because Clean On Me is one of my favourite Soap & Glory products ever, but how often do you get a bottle of shower gel with your face on? Almost NEVER! Which makes me not want to use it! FYI, their new Foam & Away set is amazing and it’s currently £20 rather than £40 RRP. This month we went up north to see my parents and introduce Gordon to their dogs, Bob and George. It’s always better to introduce dogs when the new dog is a puppy and it’s always a little worrying in case they don’t get on. Luckily for us they had a whale of a time together, they got on so well and they spent 2 days running around playing together like old friends! PS. I feel like Gordon is getting bigger by the day!!! This month I have been listening to a lot of The Vanished which is a true crime style podcast all about missing people and unsolved crimes. It’s really good, well produced etc and there are some really interesting cases covered. Also, I’m making an effort not to listen to any serial style podcasts which are released a week at a time, I have discovered I WAY prefer binge listening and if there is no amazing conclusion, I tend to loose interest and waiting a week for an anti-climatic ending really takes the fun out of it, where as if I had binged listened, I don’t think I would need a big ending, I would just be interested in the story as a whole. FYI, the podcast Dirty John is my exception to the rule, I listened to that week by week and it was AMAZING! Oh and I’m also really enjoying Generation Why and Love + Radio. Do yourself a favour and go and subscribe. PS. The radio in the image above is by VQ and you should all know by now that they are my FAVE! Literally nothing. Seriously!! 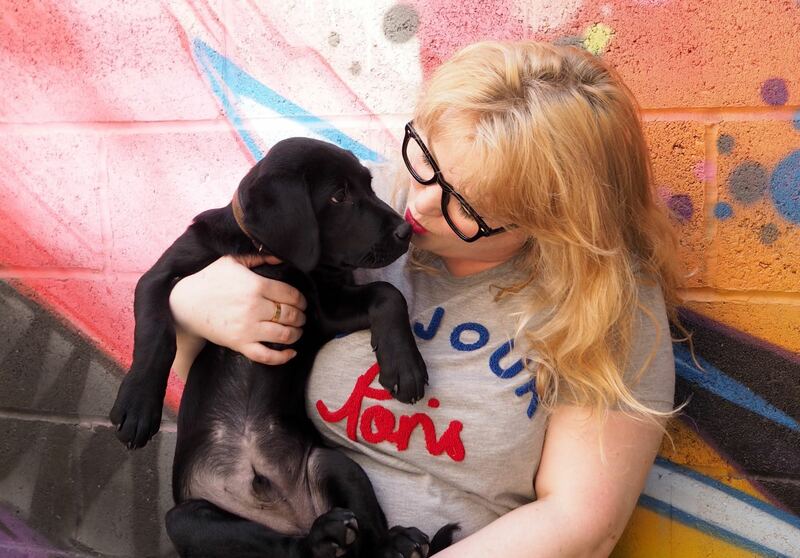 I have a puppy now and he keeps my evenings busy with walks and cuddles. I’m even considering cancelling our Netflix subscription. That’s crazy isn’t it?!!? Although I am kind of tempted to start watching Gossip Girl from the beginning because I think I need a ‘B’ & ‘S’ fix. It’s been a while since I hung out with my favourite BFF’s! Oh and everyone is talking about The Staircase, I saw this a couple of years ago and it’s an amazing documentary, if you haven’t watched it yet, do yourself a favour, it’s amazing!!!! I’m forever a Bobbi Brown girl and this new Rosey Nudes Palette is stunning! 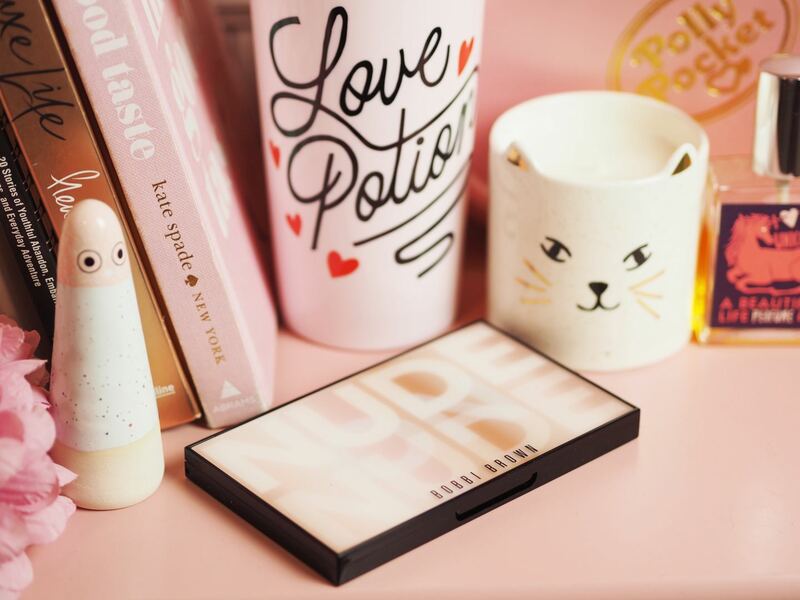 It’s perfect for those of us who love a subtle eyeshadow to off-set out winged eyeliner and it’s also great if you love a bit of warmth and shimmer in your eyeshadows. PS. I LOVE the fact they have a bumper amount of base nudes in this palette because that’s what we use the most of! It’s just such a warm and pretty palette which is super wearable. OMG! This month it has been SO busy with our Airbnb! I can’t believe how many visitors we have had! It’s been a lot of fun but also kind of a shock how many bookings we have had. It just goes to show, if you are tempted to start a new venture, just do it, if it doesn’t succeed, at least you have tried it and if it’s a success, that’s amazing! But you honestly don’t know until you try! If you haven’t already had a snoop at my Airbnb apartment, you can see it here, and yes, I have a ‘no sleeping on the sofa’ rule! Y’all know I love my sofas!!! I have been making more of an effort to run my hair through curlers recently, I used to use one with a glove, but I lost the glove, then I used one without a clip function and I found it too tricksy, so I’ve gone back to the classic ghd Curler for big beachy waves, no glove, no muss, no fuss, no frustrations… just a great curling wand (with a clip!) which is super quick and easy to use! This will forever be one of my favourite things! I first discovered it in Poundland where I became HOOKED on it and bought basically all the tubs they had in my local store. When my Poundland supply ran dry I had to live without it for a little bit and then we found more in Tesco, Asda and Ocado. It’s SO good on hot crumpets! It’s honestly my favourite way to start the day! There is also a ‘Crunchie’ version, which is nice, but the Caramel version is SO MUCH BETTER!! I store all my food in Kilner jars. No kidding. I can spend HOURS putting rice, nuts, pasta, all sorts in jars, I LOVE it! They keep things fresh, save space and are even great at keeping pesky mice at bay. No really! 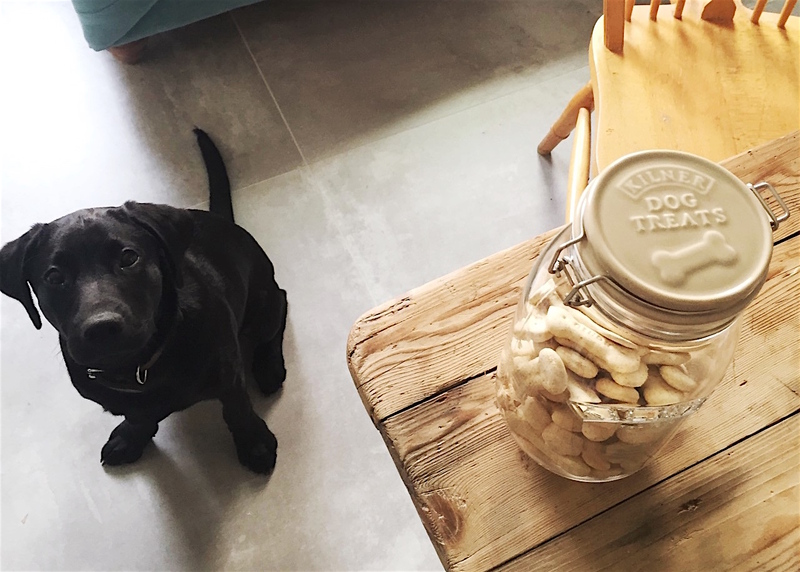 Anyway, I have oodles of Kilner jars at home, but this dog treats one for Gordon is my absolute favourite! Isn’t he a spoilt boy? Perfect for all those dog mamma’s out there! PS. 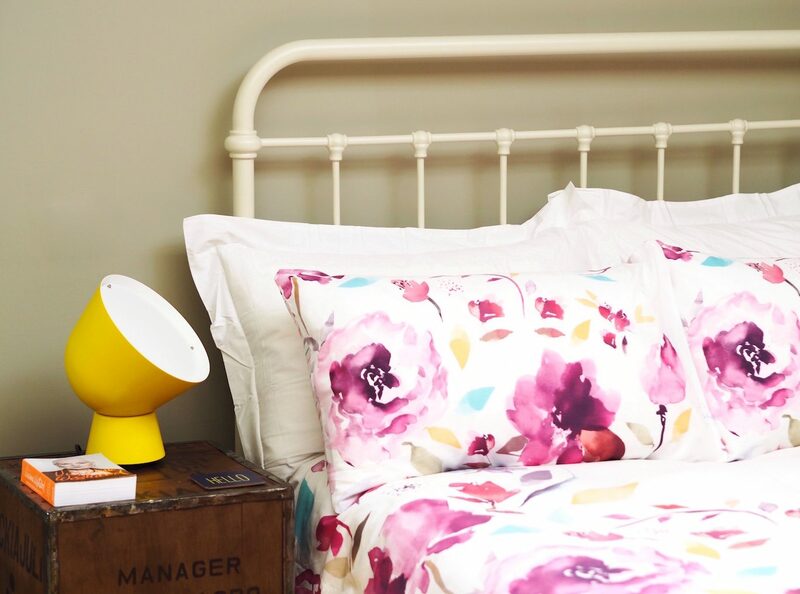 They are only £10 from Pets At Home… amazing right?! 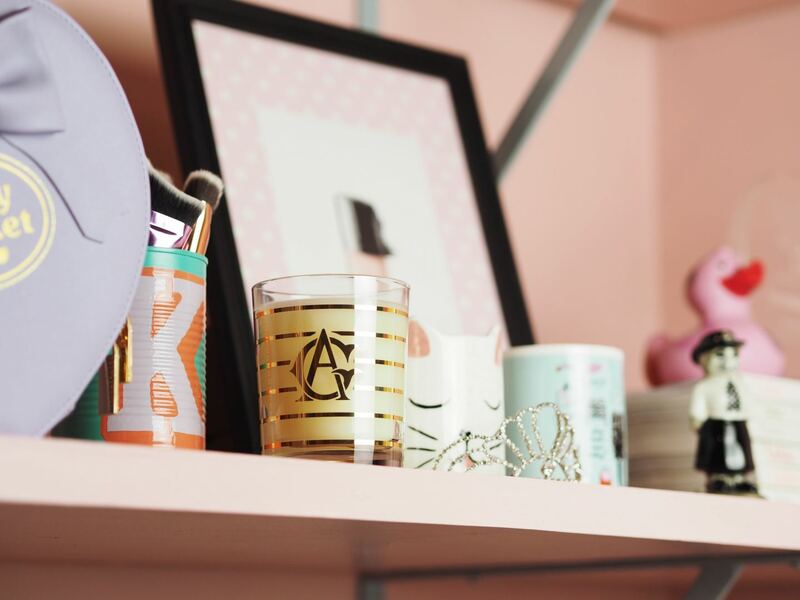 My office is really starting to come together and I’m SO excited to share the final photos of it, but for now. 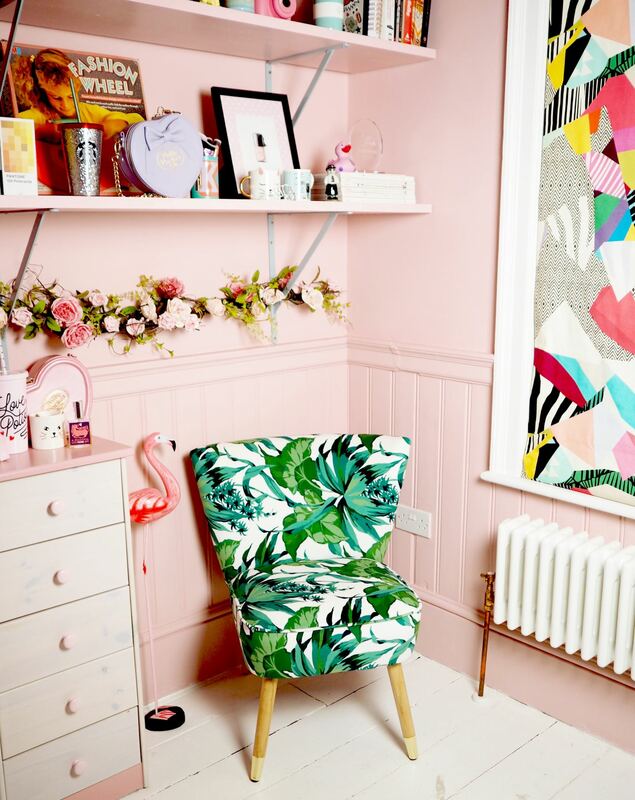 I’m so excited about this dreamy green chair I bought from Homesense and I’m even more excited about these insanely colourful blinds my mum made me! Aren’t they lovely? My mum is so clever!! 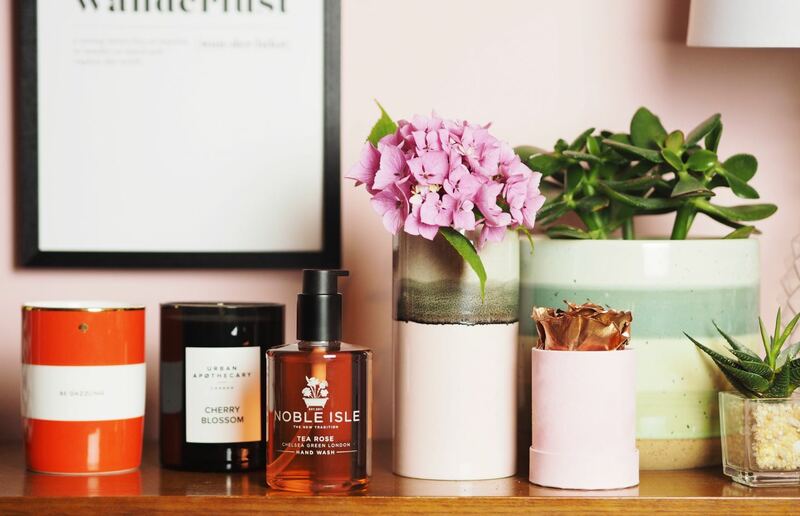 I think you’ve all guessed by now I LOVE roses and my latest beauty obsession is the Noble Isle Tea Rose Collection. It’s a real vintage twist on rose; heady, pretty and almost dusty! 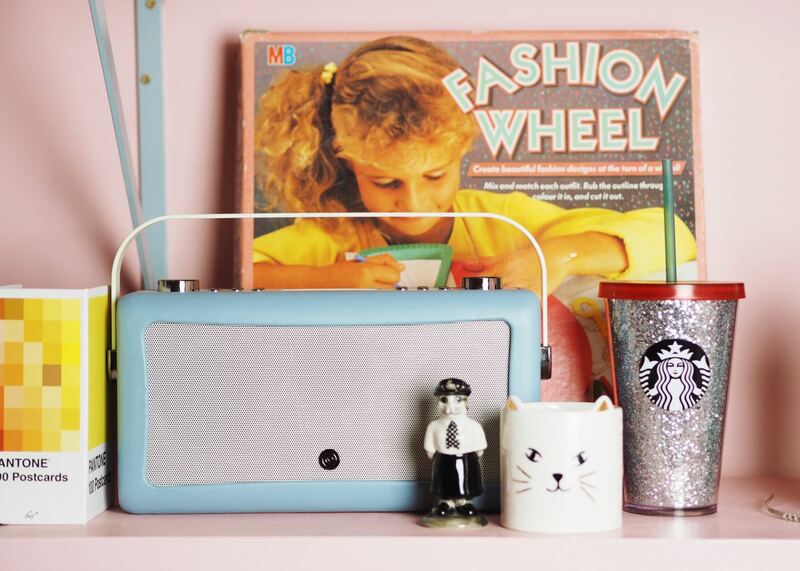 It’s really pretty and perfect for the vintage souls out there! I know it makes me sound like a diva, but I really like having fancy hand washes in the bathrooms / kitchen. It gives me a blast of joy every time I go to the bathroom or the kitchen and it makes me feel good! This doormat broke my Instagram! Who knew!? 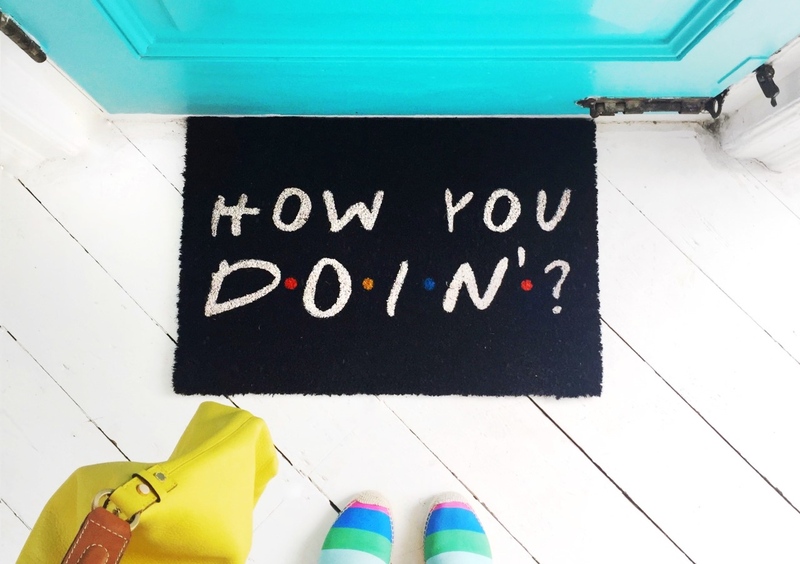 It turns out the whole world needs a Friend’s inspired How You Doin’ Door Mat too! I got it from Truffleshuffle.com, it costs £15.99 if you wanna brighten up your home with a little 90’s nostalgia! ‘Hummus I got the Hummus!! !’… ‘Could I BE wearing any more clothes’… ‘I’m breezy!’… ‘I’m gonna catch up on my correspondences’… ‘You could drink the fat?’. Can you guess which is my favourite episode? The ultimate rocket fuel! I swear this stuff gives me SO much more energy than any cup of coffee and it’s longer lasting and doesn’t make me feel jittery. 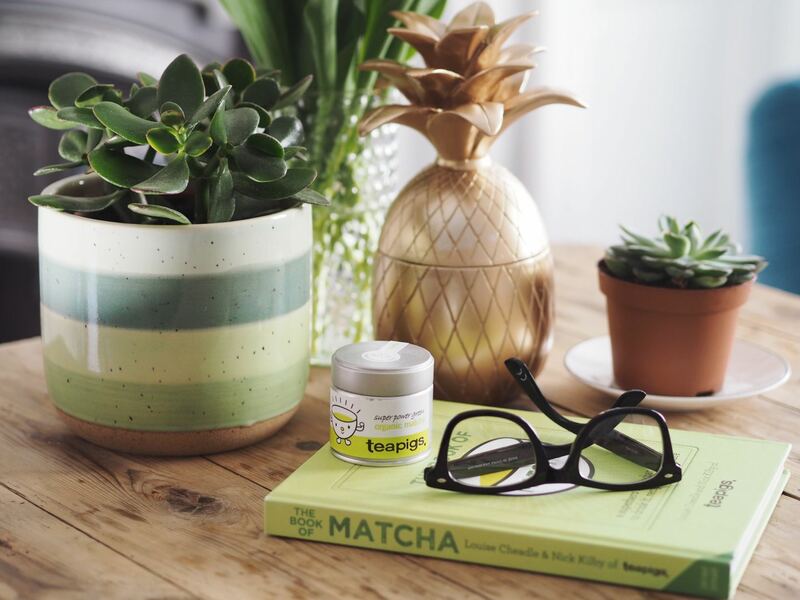 I’m seriously obsessed with Teapigs Matcha Tea, it’s basically ground up green tea leaves so it’s 10 times more powerful than regular green tea and you can make it into a latte (amazing! ), sprinkle it on your toast or into your musli. Since I first tried this about 5 years ago, I don’t think I’ve ever been without a tin! 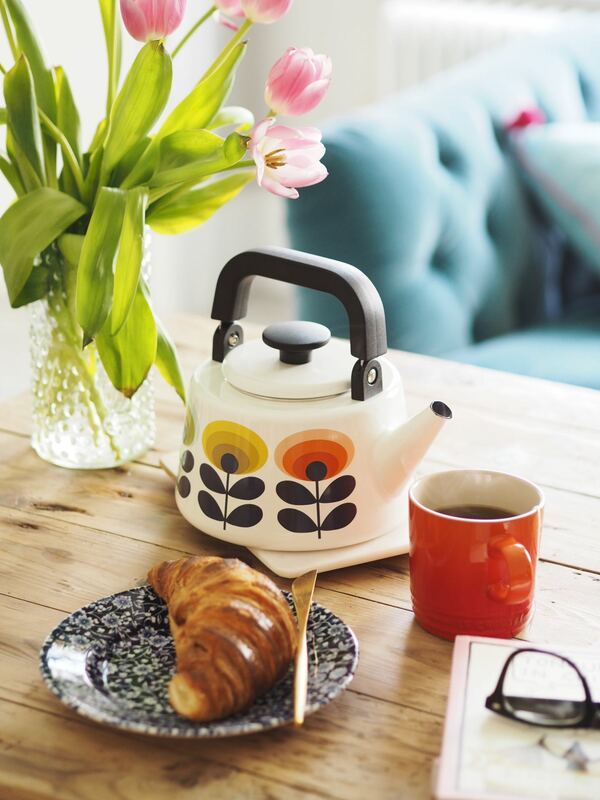 Oh and if you want a teapigs discount, use the code FASHIONFORLUNCH20 for 20% off at www.teapigs.co.uk. Thank me later! I’m such a big fan of Annick Goutal fragrances, their French chic-ness always makes me SO happy! Whilst this candle didn’t make it into my summer candle edit because it’s got more Wintery vibes, it’s stunning! Filled with a blend of pine needles, smoky notes, cumin and moss. It’s deep and woodsy and oh-so-luxurious! Don’t judge me, but it’s getting me really excited for winter! 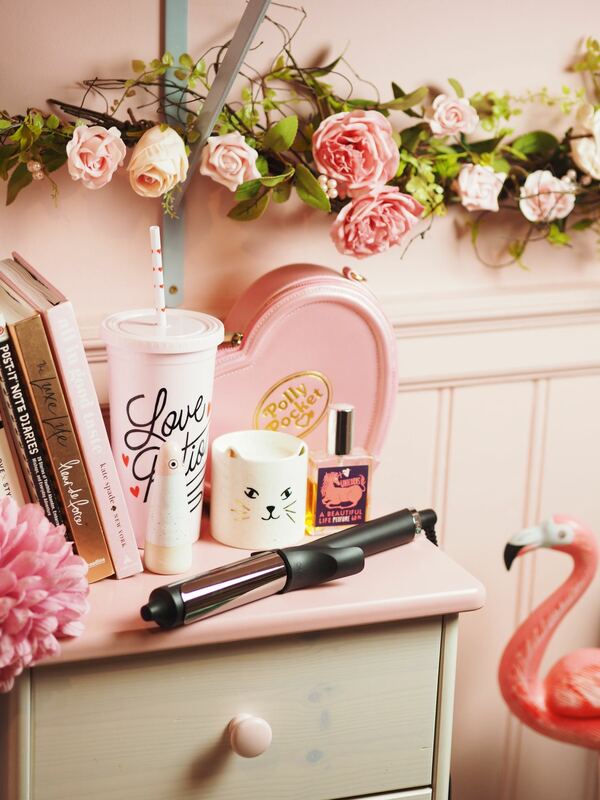 Is this not the prettiest handbag you have seen for a sweet time?! It’s my perfect bag right now! White for summer, with accents of black, a top handle and a shoulder strap, wipe clean and perfect for day or night. Aspinal Of London kill it every. single. season! PS. 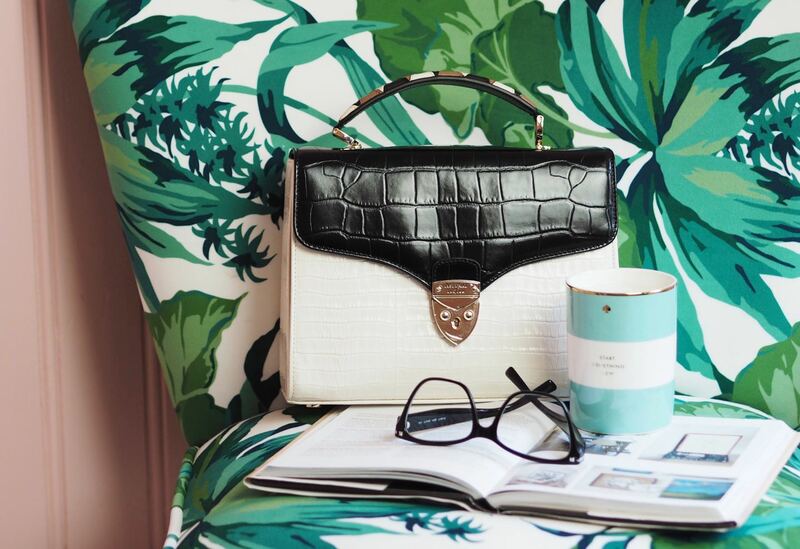 Have you seen their vintage hat-box inspired handbags? They are SO nice!!!! 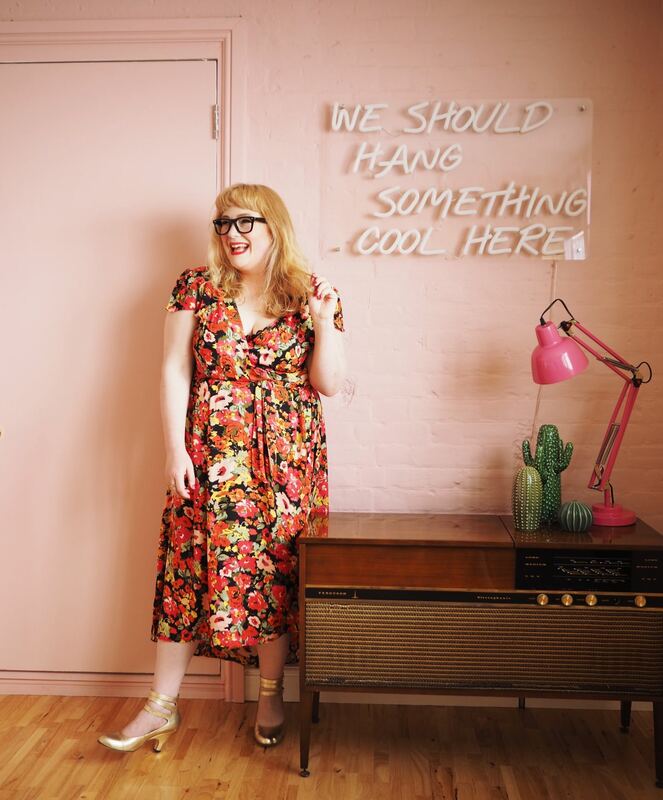 This month I did a super fun styling project with Simply Be. They have a killer summer collection, so it was a JOY to style up some outfits with them!!! I think this has to be my favourite dress, it’s SO comfortable; so light and breezy for the summer and it generally just makes me feel really good when I wear it, no matter how fast my make up is running down my face! You can see the photos over on my Instagram, go have a look! Ta da!!! And there we have it! My July Favourites and NO mention of ice cubes! Let me know what you think and what your July favourites are! Girl you def need to keep Netflix so you can rewatch Gossip Girl! You are right! I do! Gordon is so my favourite he is SO cute! I miss the rainbow matt though, it was so cute! The new matt is nice, but the rainbow was goals! I might need to hunt out the spread though, it looks right up my street! The spread is amazing and I still have the rainbow one! Don’t worry!!! Haha! When you don’t watch tv…. you squeeze so much more in! I blame Gordon! 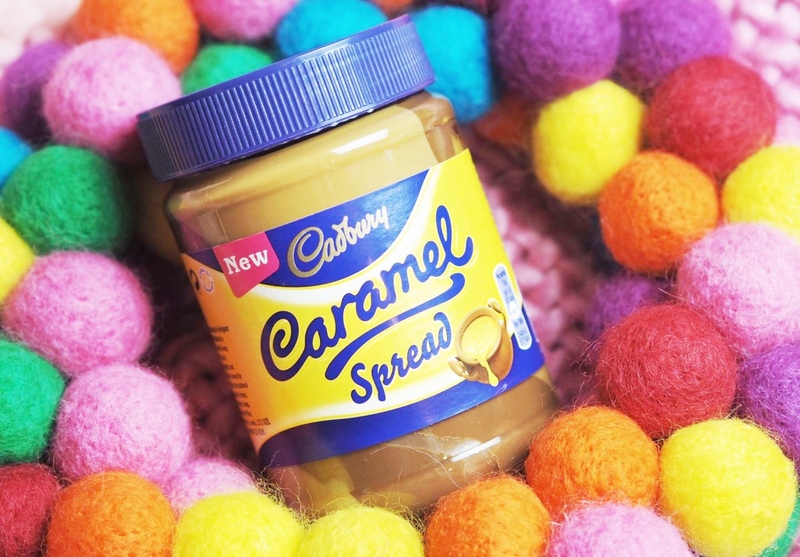 I’m totally stalking my local Poundland for caramel spread! Haha! If you find it! Let me know!!!!! My local Tesco has run out! I had to get the crunchie version which isn’t as good!!!! These photos are beautiful! Your puppy is the cutest thing in the entire world!